London - The Paralympic Games kicks off with the opening ceremony on Wednesday night and South Africa are geared up to compete in seven sports across a variety of classifications. Paralympians are classified by their disabilities, with letters and numbers used to distinguish between them. As a result, more than one gold medal is up for grabs in some of the finals. Athletics and swimming are expected to produce the majority of South Africa's medal tally, with sprinter Oscar Pistorius and swimmer Natalie du Toit leading the charge. In athletics, the letter F denotes field athletics while T represents those who compete on the track. The number which follows is used to distinguish between the different disabilities. Pistorius, for example, falls under the 41-46 category, for track and field amputees and les autres (a term used to describe athletes with a range of conditions which result in locomotive disorders - such as dwarfism). Athletes in classes 42, 43 and 44, like Pistorius and Arnu Fourie, must wear a prosthesis while competing, but this is optional for classes 45 and 46. Swimming is the only sport that combines the conditions of limb loss, cerebral palsy (coordination and movement restrictions), spinal cord injury (weakness or paralysis involving any combination of the limbs) and other disabilities (such as dwarfism and major joint restriction conditions) across classes. The prefix S denotes the class for freestyle, backstroke and butterfly, while SB indicates the class for breaststroke, and SM denotes the class for individual medley. The prefix and class number are used for a range of classifications, from swimmers with severe disability (S1, SB1, SM1) to those with minimal disability (S10, SB9, SM10). In any one class swimmers may start with a dive, or in the water. This is taken into account when classifying an athlete. Swimmers may have a classification which varies according to their event - for example, it may change between breaststroke and backstroke, according to the effect of their disability on the event in question. Cycling is open to amputees, les autres, athletes with cerebral palsy and visually impaired athletes, competing in individual road race and track events. Cyclists with cerebral palsy are split into four divisions according to the level of their disability, with class four comprising the more physically able. Visually impaired athletes compete together with no separate classification system. They ride in tandem with a sighted guide. In equestrian, all disability groups can take part in the sport but riders are divided into four grades, ranging from those with impaired vision to others who are severely disabled with spinal cord injuries. Basketball is open to wheelchair athletes, whose impairments may include paraplegia, lower limb amputation, cerebral palsy and polio. Competitors are classified according to physical ability and are given a points rating between 1 and 4.5. One point equates to the most severe disability, 4.5 to the least. Each team fields five players but may not exceed a total of 14 points at any given time. Tennis is played from a wheelchair with two classes - open and quad (disability in all four limbs). In wheelchair tennis competitions, players are allowed two bounces of the ball, the first bounce being within the bounds of the court. Rowing, the last of the seven sports in which South Africa will compete, was introduced to the Games in 2008, and is divided into four boat classes, with competitors turning out in quartets, pairs or singles. 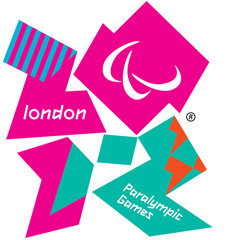 The Paralympic Games will officially start on Wednesday, and competition begins on Thursday. The closing ceremony will be held on September 9. The organising committee expects the quadrennial disability showpiece to be "bigger and better" than ever, with 4 200 athletes taking part from 166 countries, vying for 503 medals.